Creaz-an-bre Gundogs offer various training programs. One to one tuition is available and group training is another option. 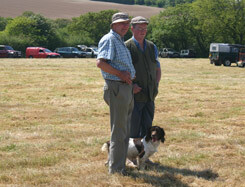 Dogs can also be taken on livery and trained to client requirements.